My card is based on one I made a few years ago at a show in Worthing. 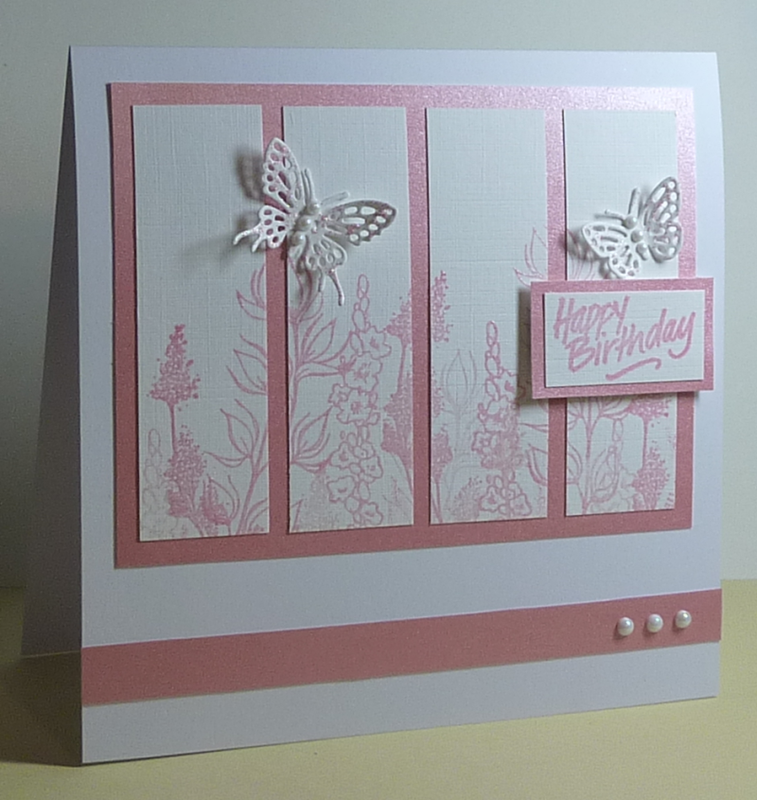 The card we made was black and white which never seems to work well for me so I've gone for a pink and white version. I like it in pink and white. I love the embossed background cut into the panels. very crisp and clean looking. Thankyou for fluttering by my #40. 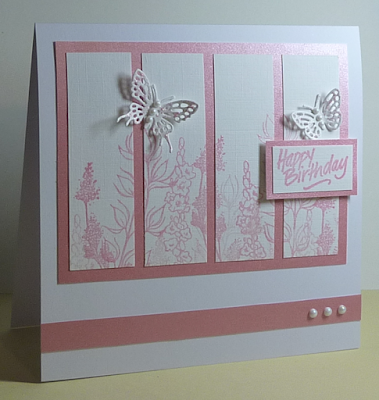 Hugs Mrs A.
Oh so pretty, I like the way you have cut the background image into panels, and the pink pearly card is lovely. 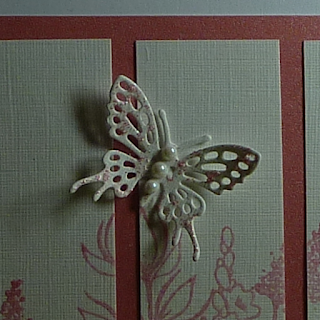 Beautiful embossed BG and panels, love that cute butterfly with little pearls! Thank you for joining at Butterfly challenge! He is super nice .